Whether we’re in our hometown or visiting another country, there is always one thing that can bring people of different cultures, languages and background together, it is food! When we visit an unfamiliar area, one of the first things we ask a local is “Where should I eat while I’m here?” If all else fails when meeting someone, food is the one thing we all have in common and all have an opinion on. Some of us prefer Mexican over Asian and Italian over French but that’s what is so intriguing about food, there are so many foods we have yet to try and the options are endless. Just when we think that we’ve tried all there is to try within one type of cuisine, our palates explode with new flavors we’ve never imagined. Every culture has their food staples that are well-known, even among those who don’t often eat that specific type of cuisine. For many when they think ‘Italian food’ images of spaghetti with meatballs, pizza, and calzones come to mind. That is just the tip of a very large iceberg. Italian cuisine is humble, delicious with bold flavors and incredibly reliant on the best, and freshest ingredients. Italian food is the story of recipes passed down from generation to generation with memories of those that may not be with you at the table, but will always share a special place in your heart. These memories are full of delicious flavors and stories of the most incredible dishes as well as the ones that weren’t the most popular at the table. The term ‘Italian’ is synonymous with the seemingly endless variety of delicious items that the culture has to offer. 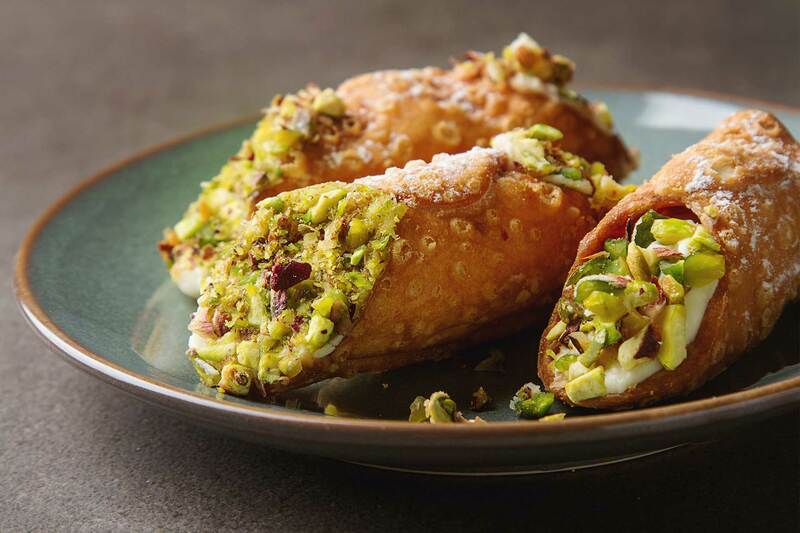 There are cured meats, DOP cheeses, amazing crusty loaves of bread, handmade pastas, slow simmering sauces, panini, and piadina, as well the most delicious pastries that you can imagine: cannolis, lobster tails, and sfogliatelle to only name a few. Being part of an Italian family, cured meats: prosciutto, sopressata and capicola were never too scarce during holidays and family gatherings. These are among many well-known salumi that always make an enjoyable guest appearance at Italian gatherings. These dry-aged meats are just what the tastebuds need to begin a whole day of eating. In general, salumi is defined by its delicious pork and fat flavors ground together to create a dry sausage. Each salumi has their own unique taste. Sopressata is a dry-cured meat traditionally made from pork, which is coarsely pressed or ground into sausage and studded with peppercorns or spiced with chilies in the Calabrian style. It has a rich, deep, savory flavor that is imparted through the curing process. Prosciutto is a dry-cured ham made from the hind leg of a pig, which is salted for a couple months before being hung and dry aged. The process to create this delicacy can take anywhere from 9 months to 2 years, which lends heavily to its rich, yet subtle nutty flavor. Although these salumi are often found paired together with cheeses for antipasti, you can also find them alongside other foods served during the main meal. Whether it be the combination of meats found in a sauce atop your favorite pasta, or the prosciutto paired with sage on a veal medallion to create the amazing flavors of saltimbocca. Another culinary treasure that is never too scarce in Italian cuisine is cheese! I can imagine one of your favorite meals has cheese incorporated into it whether it be the main attraction to the dish, like grandma’s homemade lasagna, or as the perfect accompaniment to an already great meal. The most popular type of Italian cheese that can most likely be defined as “melted deliciousness” is mozzarella. This is the most common cheese on top of your pizza but it is also just as tasty when made fresh and sliced on its own topped with some extra virgin olive oil and fresh basil. Mozzarella has a mild, milky flavor, it’s simple yet delicious taste is created from just the right amount of finesse in the pulling of cheese curd to create the best finished product. Yet another delicious cheese brought to us by the Italians is ricotta. This cheese is a natural byproduct of fresh mozzarella being made – sounds like a two for one deal! When mozzarella is being made, whey is created from the excess and from there it’s made into delicious, creamy ricotta. It is often used as a cheese-filling in your favorite pasta dishes, such as ravioli and manicotti – two dishes that wouldn’t be the same without some help from these great cheeses. Italian culture is largely influenced by its food and hospitality. The joy these foods bring are often in the context of good company. Sharing a thoughtful meal with those you love, or an antipasti with new friends, or pastry with a love interest. Italian food is meant to be experienced, talked about and celebrated. It is the passion these foods are created with, as well as the passion with which they are enjoyed that make them so special.